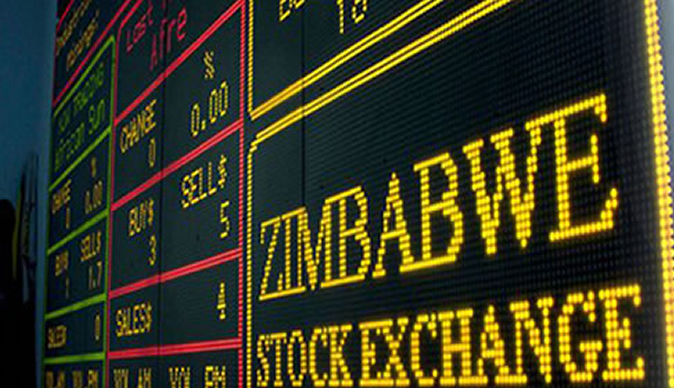 The Zimbabwe Stock Exchange (ZSE) closed slightly lower during the last few days of official trade before the general elections set for tomorrow. After close on Thursday, the All Share Index fell 0,03 percent or 0,03 points to 115 level. Both the Industrials Index and the four-counter Mining Index dipped 0,02 percent to 386,56 and 164, respectively. The ZSE total market value was little changed at $11 billion. The market was expected to finish weaker on Friday. Manufacturers were among the top declines, with cement maker PPC Limited tanking 8,2 percent to $1,16. Only two counters gained, property developer First Mutual Properties and mobile network operator Econet up 14 percent and 0,1 percent in that order. The bigger picture is about the general elections taking place tomorrow (July 30). Zimbabweans will choose a new President, Members of Parliament and local government councillors. There are 23 candidates vying for the presidency, but analysts say the race will be between incumbent leader President Mnangagwa and opposition MDC Alliance leader Nelson Chamisa. Polls have largely predicted a Mnangagwa victory. Zimbabwe's economy is expected to rise phenomenally in the event that the election is deemed free, fair and credible by observers. Latest projections by research firm Emergent Research put economic growth at 7 percent for this year and 15 percent for 2019, should such a peaceful election prevail. As campaigning entered the homestretch on July 26 and 27, investors on the stock market appeared to take caution, waiting for the election outcome. Meanwhile, mid-tier and penny stocks have risen sharply in the past seven months, pacing the year-to-date performances on the ZSE. Overall, the market has been on the upside since beginning of the year with the primary index, the ZSE All Share increasing by 15 percent, while the ZSE Top 10, Industrials and Mining indices have also risen by 19 percent, 16 percent and 15 percent respectively. Leading cables and allied manufacturer, Cafca, was leading with a 150 percent YTD gain to close Wednesday trade at 75 cents. Cafca has, however, lamented foreign currency shortages to procure essential raw materials and replace its ageing equipment to fully service the market. Year on year, Cafca has jumped by 275 percent as it maintains its growth trajectory. Unifreight rose by 77 percent to 2,52 cents, followed by clothing retailer Edgars, which has increased by 61 percent since beginning of the year. Asbestos maker, Turnall is up 52 percent to 1,35 cents while Axia added 52 percent of value to 25 cents. Hospitality group, African Sun and industrial conglomerate Innscor both increased by 50 percent to 7,2 cents and $1,50 respectively. Zimplow has increased by 47 percent to 11,55 cents. Zimplow has had a good year on the back of increased demand due to the Government initiated programme, Command Agriculture. Year on year, Zimplow is 156 percent firmer. Biggest company by market capitalisation on the bourse, Delta, has increased by 46 percent since turn of the year while short term insurance firm, Nicoz Diamond wrapped the top 10 YTD performers with 37 percent increase to 3 cents. On the downside, Medtech retreated by 60 percent to 0,02 cents while sugar processor Star Africa let go of 35 percent of value to 1,29 cents. Property and property related stocks dominated the bottom 10 performers on the market as voids in central business district commercial properties affected the sector. Apart from the increase in voids, tenants have also been negotiating for downward rental reviews, further straining the sector. Mashonaland Holdings let go of 33 percent of value to 2,3 cents while peers, Zimre Property Investment (ZPI) lost 29 percent of value to 1,7 cents. First Mutual Properties lost 26 percent of value since beginning of the year to 4,9 cents while Dawn lost 20 percent to 1,59 cents. At 0,6 cents, brick making firm – Willdale was 17 percent lower than its year opening price. Other major losses were recorded in CBZ and BAT with 26 percent to 11 cents and 29 percent to $25,40 lost respectively. General Beltings, GetBucks and Hwange have remained stagnant at 0,8 cents, 3,7 cents and 3,8 cents respectively.